When I first started my make-up obsession Black Label lipsticks were on the top of my wishlist, not because of any reviews about these lipsticks but because of their floral packaging which attracted me. However I didn't get my hands on them until I tried other range from NYX. After I fell in love with various NYX products, this Black Label in shade Cherry Cerise successfully made a place in my stash. A creamy, dreamy lipstick with a velvety smooth finish and hyper-glamorous shades for every look and every inclination. NYX’s Black Label Lipstick has rich emollient properties that ensures that the color glides on and hydrates your pout at the same time. From Extreme Red to Earthy to Italian Chic, Black Label Lipstick is available in 46 lip smacking hues. 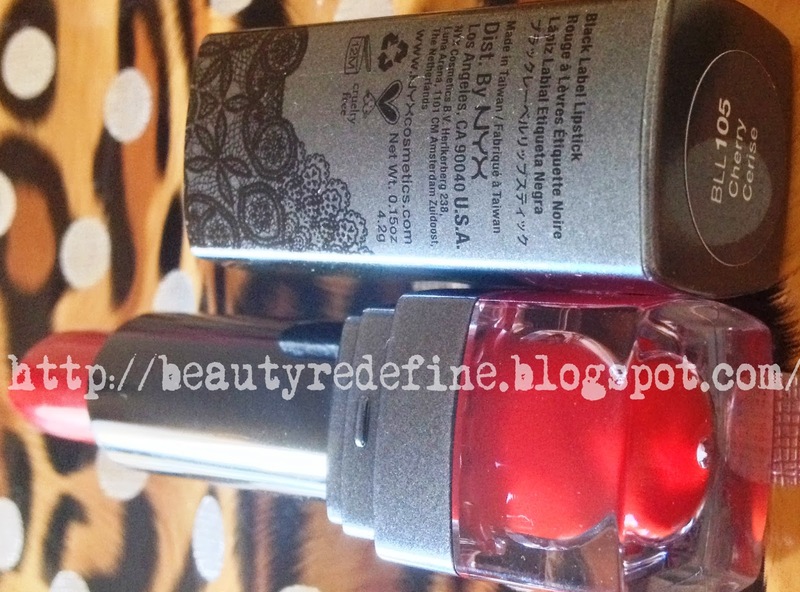 Cherry : Its a vibrant red color with the hint of brown, with a creamy/glossier finish. The lipstick lasted for around 2-3 hours with food and drinks but the glossy finish faded after having my meal leaving a stain. Since it is creamy, it tends to bleed so to make your lip precise. You may need lip liner with this product. One thing that I noticed in this color is that you need perfect lips for this color; even a minute flaw is clearly visible under this color and it also transfers due to its creamy formula but not in a messy way. I still wish to find some good lipstick sealer for creamier lipsticks.. 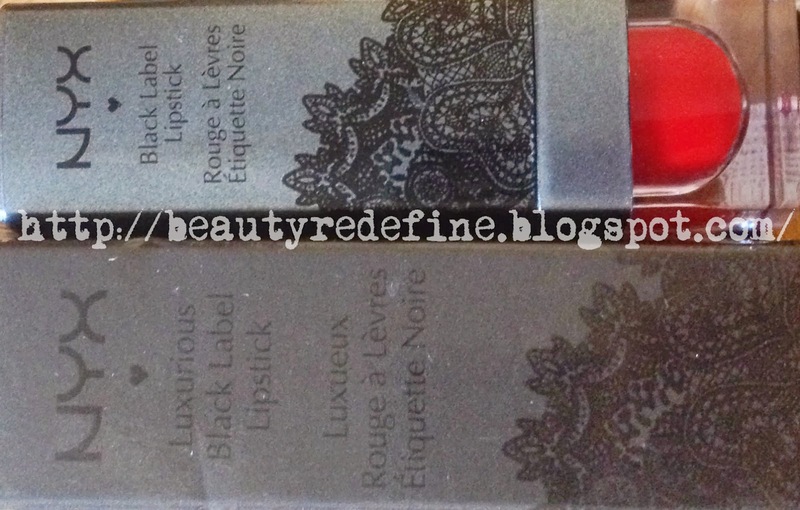 This lipstick comes in a black, square shaped tube with floral pattern printed on it. 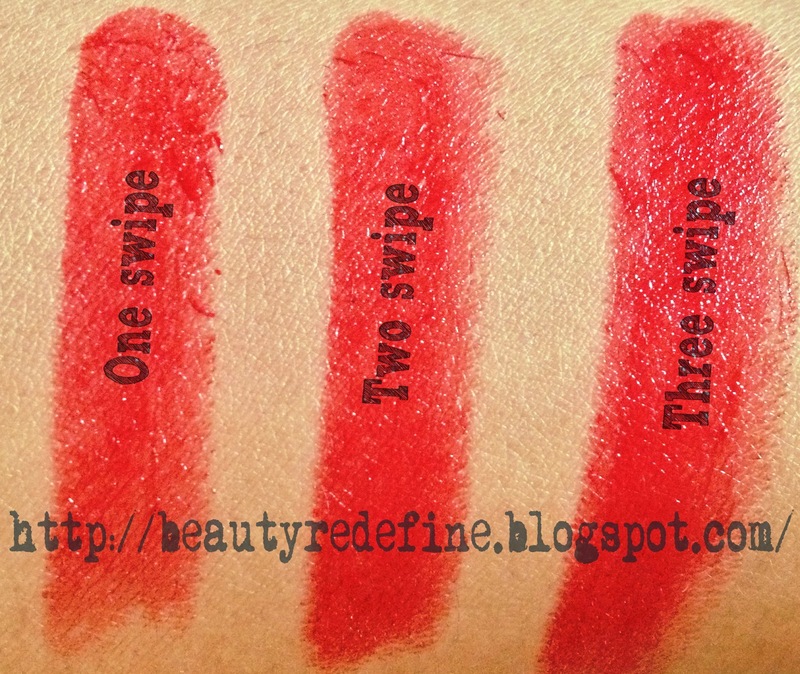 Like many of the other lipsticks the base has a color which is similar to the shade of the lipstick. They also smell slightly like grape juice to me in the tube but the smell does not linger after application. So if you're someone who likes smells u will also like this. In Short, So if you are looking for a good quality product with brilliant packaging, moisturizing, great pigmentation, and good price this one is my highly recommend product for you. Have you tried this product ? Do you have color recommendation ? Please feel free to share your comment below. Also suggest me any good Lip Sealer (if you know of any).